Powwows are open to everybody. Historically, these Indigenous cultural celebrations of unity allowed all nations to come together, share culture, and build relationships. Sit back and enjoy the hospitality and opportunity to learn about Indigenous culture. You are now on Turtle Island. The powwow committee and host community prepare for their guests with care. Often, hundreds of visitors are treated to free meals, camping, and chances to learn more about the culture and traditions of the community. Every community is different and it is best to be prepared. 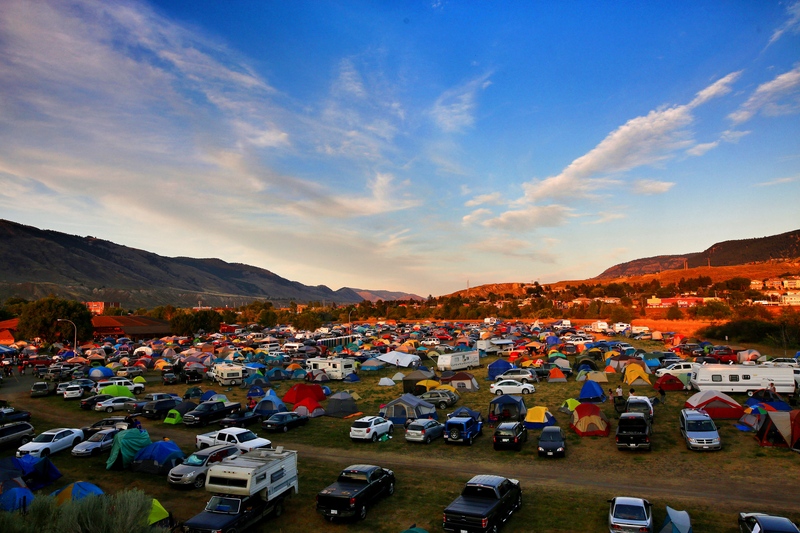 Bring your own chairs and fuel up your vehicle if the powwow is in a remote location. Drugs and alcohol are not permitted. Get ready for it. You’ll feel the drum in your chest even before you enter the arbour. 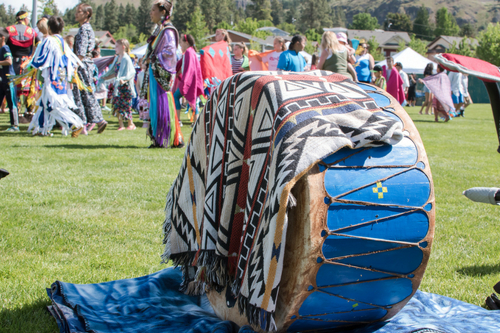 The host drum often travels a long way to share their songs—without the drum, there is no powwow. Every twirl and sweeping step of the dancers pays respect to the drum. Let its heartbeat connect you to the land; look around and give thanks for the place you are in and the people you are with. 1. Don’t miss Grand Entry. 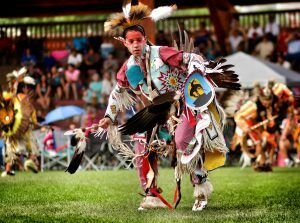 This is the opening of the powwow and your chance to see dancers of all styles enter the arbour in a show of colour, culture, and beauty. The parade of dancers in intricate beadwork, silver jingles, satin ribbon, and natural materials like deerskin and shells is led by the Flag Carriers, Veterans, and Head Dancers. Stand to show respect. 2. Ask and listen. The MC is not just there to tell the best bad jokes you have ever heard but to give specific instructions and ensure everybody knows what is happening. Photography and video are usually fine. Your MC will let you know if it is not appropriate—like when a dancer loses an eagle feather or a family shares an honour song. Show courtesy and ask permission before you go for a tight shot of an adorable tiny tot dancer or awe-inspiring regalia, which often carries deep personal or spiritual significance. 3. Bring cash. 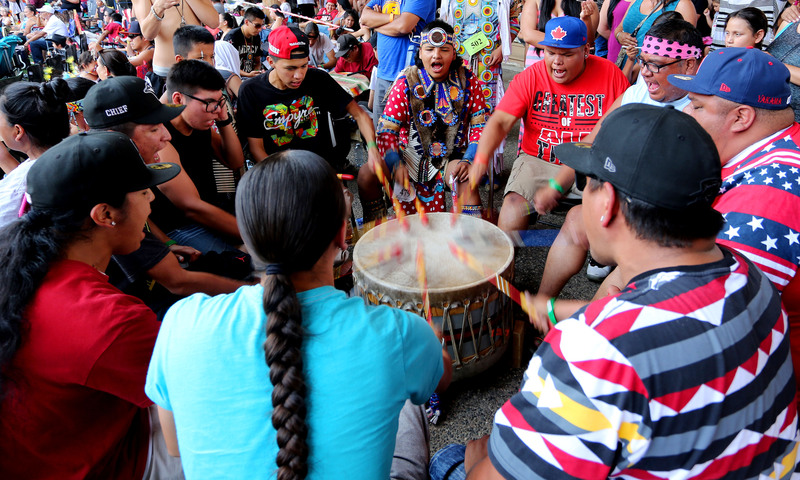 Powwows are usually not for profit, though some have a small daily or weekend attendance fee. This money keeps the powwow motor running and pays for things like the MC, community meals, and prizes for the dancers. Support the local and Indigenous community by buying an arm’s length of raffle tickets or a traditional craft from a vendor. 4. Come and go. 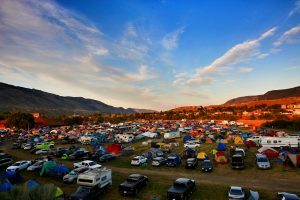 You can check in for a couple of hours or camp out for the whole weekend. A three-day powwow in the summer heat requires endurance. 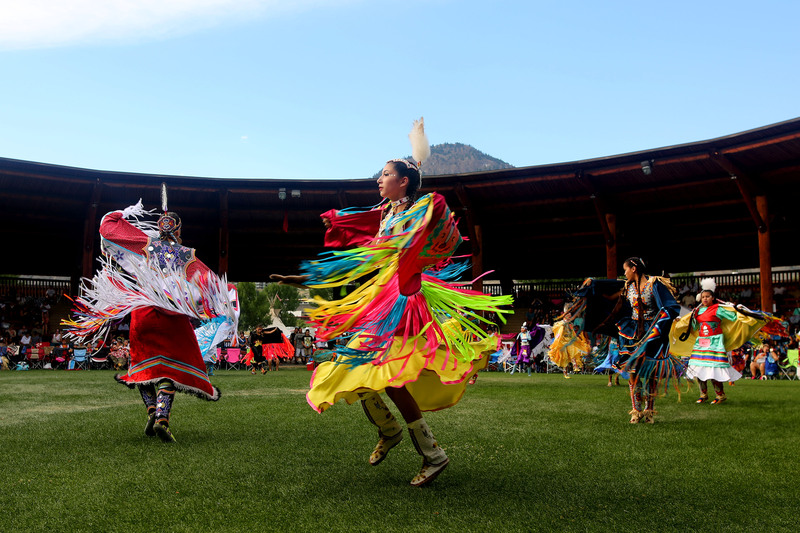 There are frequent windows for rest which allow the athletic dancers, honoured Elders, and attentive audience a chance to seek shade, visit, eat, and get ready for the next song. 5. Intertribal means you. It doesn’t matter if you are Indigenous or dressed in regalia. When the MC calls an intertribal, get up and dance. Watch the feet of somebody who knows what they’re doing and join in. Take your children and celebrate the chance to come together in a good way. Hosted by the Tsq’escenemc, this smaller powwow is held on the Canim Lake Reserve in the heart of Secwe̓pemc Territory. Hosted by the Tk’emlúps te Secwe̓pemc, this is a gathering that boasts big prizes, a big landscape, and a big crowd. It is one of the largest celebrations of Indigenous culture in Western Canada. The 2018 Skwlax Powwow, hosted by the Little Shuswap Indian Band, features host drum Iron Swing Singers from Sturgeon Lake, Saskatchewan. Heftier prizes have been added this year to attract North American talent. There will also be a Two-spirited Special. 45th Annual Quesnel Tillicum Society Memorial Powwow: October 6-7, 2018; Quesnel, BC. This autumn powwow will feature a free community Thanksgiving dinner, on-site smudging teepee, and a Red Dress Special dance to honour Missing and Murdered Indigenous Women. A small, annual one-day powwow held to honour Indigenous and non-Indigenous veterans at Totem Hall in Stawmus, a village inhabited by Squamish Nation for more than 12 000 years.